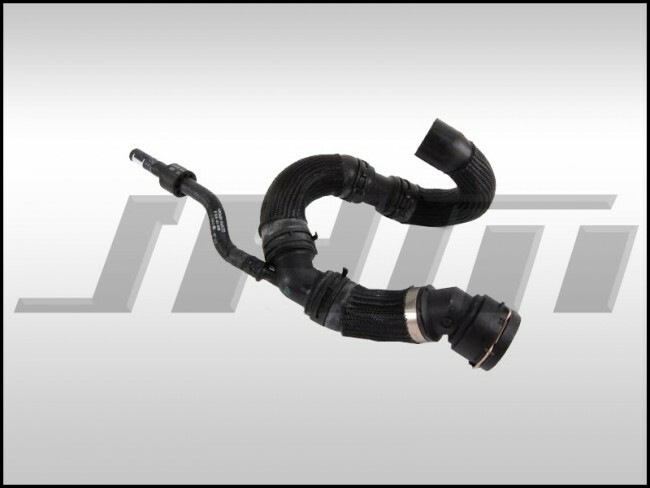 This is a high quality OEM Upper Radiator hose for B6-B7 S4s. This is the main hose on the passenger side that connects to the radiator (at the top) and to the water pipe on the passenger side of the motor. OEM part number is 8E0 121 070B or 8E0121070B.